MagnaFlow X and Y Pipes - Lesher Motorsports, Inc.
MagnaFlow Y-Pipe and Tru-X Pipe transitions are great for single/dual, dual/dual and balance tube applications. 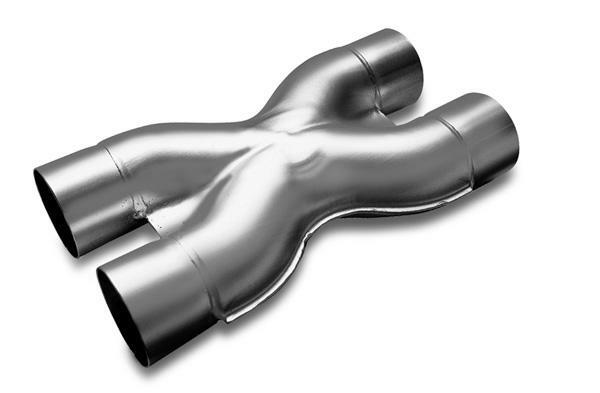 MagnaFlow’s stainless steel Tru-X crossover pipe represents a significant leap forward in technology over traditional H-pipes. The more gentle radius allows for better exhaust gas scavenging, noise cancellation and better balance between cylinder banks. The result is a significant increase in power and torque but a reduction in db sound levels… the best of both worlds.